Item # 308713 Stash Points: 2,697 (?) This is the number of points you get in The Zumiez Stash for purchasing this item. Stash points are redeemable for exclusive rewards only available to Zumiez Stash members. To redeem your points check out the rewards catalog on thestash.zumiez.com. 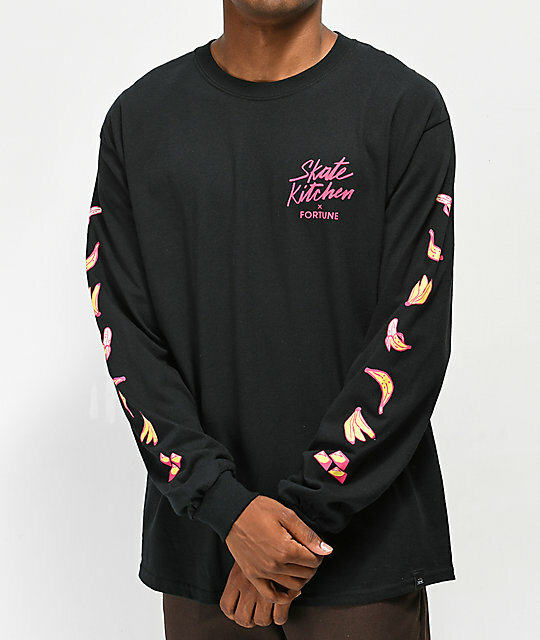 Represent your casual style and your new favorite movie, Skate Kitchen, with the Fortune x The Skate Kitchen Black Long Sleeve T-Shirt. 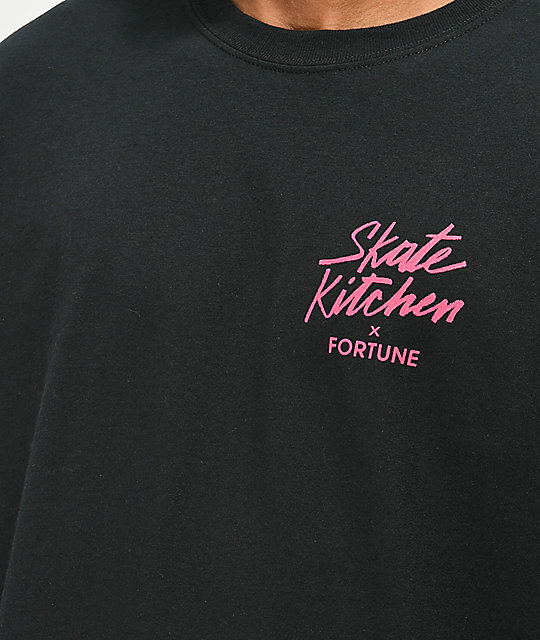 This collaborative design between Fortune New York and Skate Kitchen the movie, features a hot pink logo graphic at the chest, along with graphics inspired by the film printed along the sleeves for a unique and casual look. 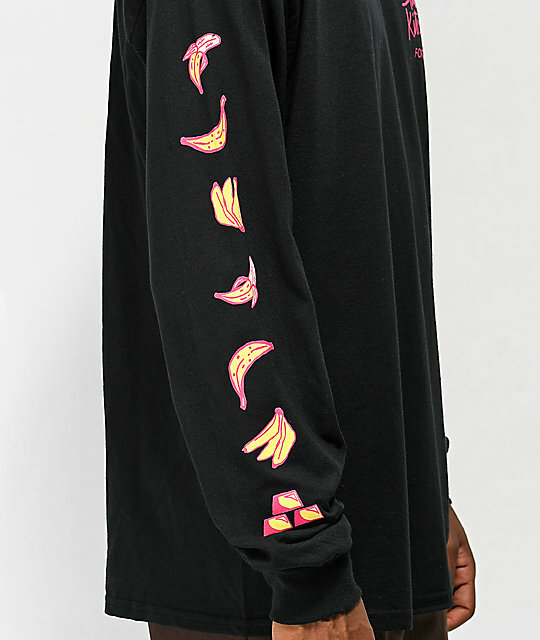 The Skate Kitchen Black Long Sleeve T-Shirt from Fortune. Screen print logo graphic on the left chest and sleeves.